In a scientific field like ours, our colleagues often become our friends. So last time I ‘caught up with my friend’ - at a conference, he invited me to a workshop in Berlin at the beginning of March. It’s been a long time since I went to Germany and this seemed like a good reason to go. The workshop topic was the hazards faced by people in the Arctic: when permafrost thaws, ice melts out of the ground and the ground can actually collapse up to several meters, damaging buildings, roads, and oil pipelines. I’ve been curious about this for a while because while I’m usually thinking about (and modelling) how permafrost is going to affect the global climate - I shouldn’t forget that it also directly impacts people on the ground. An Earth System Model is the main tool available to climate scientists. We use them to understand the influence that humans have on the planet. For example, this article explains how we know that humans burning fossil fuels have been the main cause of the recent global warming. We also use these models to test out possible futures - what will happen if we keep burning fossil fuels at the same rate? What will happen if we stop? What if we cut down all the forests to grow crops? At the beginning of September I joined Hanna and her team at their field site in Northern Norway. The team has set up a study site in the lowlands - where permafrost is found - and named it ‘Iskoras’ after the hill nearby. 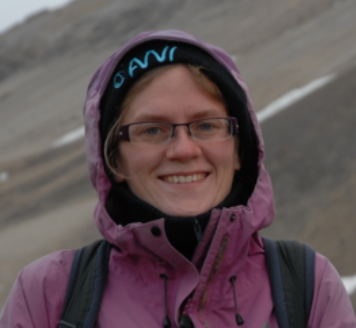 Svalbard 2015 - Final blog post from the Svalbard team! Our time in Ny Alesund went by far too quickly, and before we knew it the last day had arrived. Julia and I went to take soil samples at the edge of the village. We couldn’t dig very deep because the water table was very close to the surface, but at least I got a good look at some soil which helps me understand what I am up against with the model. Niko and Stephan packed up and got everything ready to send back to Germany. In the evening, Stephan jumped into the cold water in the fjord with some of the Ny Alesund locals, although the next day he was feeling (and looking) pretty sick so I feel quite ok that I wasn’t brave enough to do it. Our main task for the past few days has been maintaining and fixing up all of the equipment at the Bayelva field site. While not in the field we have been working in the ‘observatory’, where there is a nice room with tables and a coffee machine, and a lovely view out of the window (amazingly it has been continuously sunny so far). We also had an interesting tour of the observatory with Renee, who showed us all the machines for measuring the atmosphere: everything from wind speed to chemical spectra of trace gases. The equipment includes a giant laser beam that they send up into the sky, and a balloon that they launch every day to take measurements in the stratosphere. First a little introduction. I am Sarah, I work at the University of Exeter and I am a modeller. Somehow I am now in the field. Through this blog you will find out whether or not I am able to survive, and even enjoy being away from my desk for a little while.